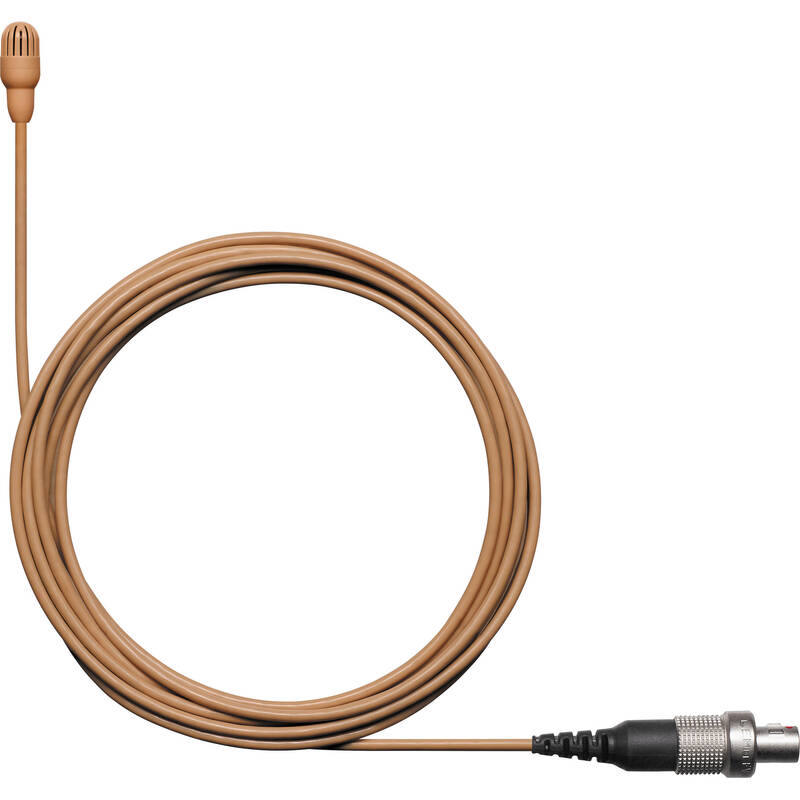 Sweat and moisture won't stop your signal when you use the cocoa Shure TwinPlex TL46 omnidirectional lavalier microphone as your transducer of choice. This ultralightweight mic boasts a patent-pending, dual-diaphragm condenser capsule with an omnidirectional polar pattern, yielding full, natural tone and consistent off-axis response along with low self-noise and wide dynamic range. Plus, the swappable frequency caps incorporate a superhydrophobic nanoscopic coating to eliminate sweat-outs and signal drops caused by perspiration.